The MB Settings Page extension helps you to create one or multiple settings pages for your website. You can use it to create a theme options page, or a settings page for your plugin, or a custom settings page for clients’ websites. It’s a wrapper of Settings API (provided by WordPress) and Meta Box, that combines the power of both platforms and provides an better and simpler way to create a settings page. Briefly, it helps you create a settings page via a short and beautiful PHP syntax without going through all the low-level functions of the Settings API. Besides it supports all the field types in Meta Box as well as other extensions. By using Settings API, all the fields’ values will be saved as an array in a single option in the WordPress’s options table. Each field is an element of the array with the corresponding key (field ID). It’s the recommended way by WordPress that doesn’t make your options table bloat. For more info, please see the extension page. After installing, you need to register a settings page and register meta boxes (and fields) for that settings page. The filter takes an array of defined settings pages as the argument. The callback function must return an array of settings pages. id Page ID. Required. Will be used as the slug in URL and option name (if option_name missed). option_name Option name where settings data is saved to. Optional. Takes id if missed. If you want to use theme mods, then set this to theme_mods_$themeslug. menu_title Menu title. Optional. Takes page_title if missed. page_title Page title. Optional. Takes menu_title if missed. Note: either menu_title or page_title (or both) must have value. capability Required capability to access the settings page. Optional. 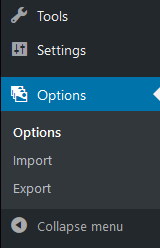 Default edit_theme_options. icon_url The icon for the menu. To use a Dashicon, set this to dashicon-icon-name. To use a SVG data image as a CSS background, set this to data:image/svg+xml;base64.... To use an image, set this to image URL. See icon_url parameter of add_menu_page() function. position Menu position. See position parameter of add_menu_page() function. parent ID of the parent page. Optional. 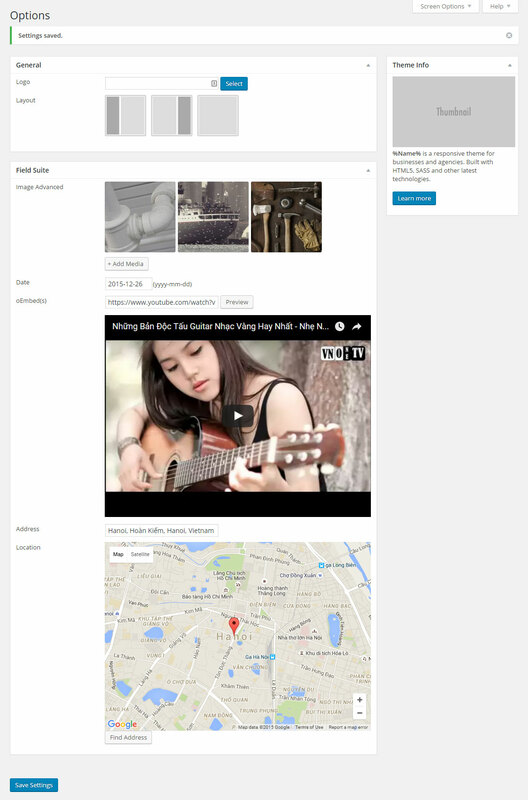 Can be WordPress menu or custom settings page menu. See examples below for more details. submenu_title Set this to the default submenu title (first submenu) if the settings page is a top-level menu. Optional. help_tabs The content displayed when clicking on the Help button on the top right (near the Screen Options button). See below for details. style How do you want to style the settings page. 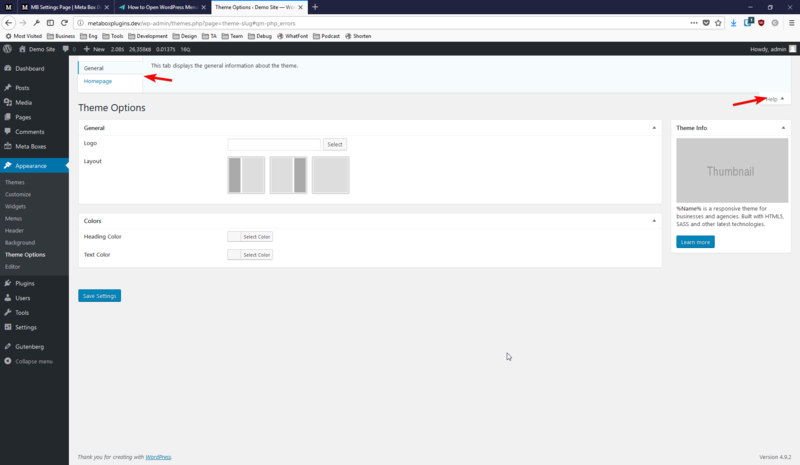 Supports boxes which has same the style as normal WordPress meta boxes (like in the edit post screen) and no-boxes which has the same style as WordPress settings page. In no-boxes style, each meta box is a section of the settings page. columns The number of columns in the meta boxes. Can be 1 or 2. You might want to use 1 column with no-boxes style to match WordPress style. tabs Organized meta boxes and fields in tabs (see the example below). This param takes an array of (tab_id => Tab Title). Note: when using this param, you must specify which tab the meta box belongs by adding a new parameter 'tab' => tab_id. See example below. submit_button The custom text for submit button. Optional. message The custom message displayed when saving options. Optional. The submenu_title allows us to set the first submenu text which can be different from the top-level menu text. The parent of submenus are set to the ID of top-level menu (my-options). WordPress has a nice feature that allows us to define instruction, guidelines in the “Help” section of each admin screen. To see the help content, click on the “Help” button on the top right, near the “Screen Options” button. Note that, the button appears only when there’s some help content. In short, each tab is an array of title and content. You can pass more parameters just like the add_help_tab() function. However, the title and content are the most important parameters and they’re required. Creating settings meta boxes and fields for settings pages is the same as for posts. You need to hook to rwmb_meta_boxes and set a param settings_pages to the settings page(s) you want to add to. All fields settings stay unchanged. 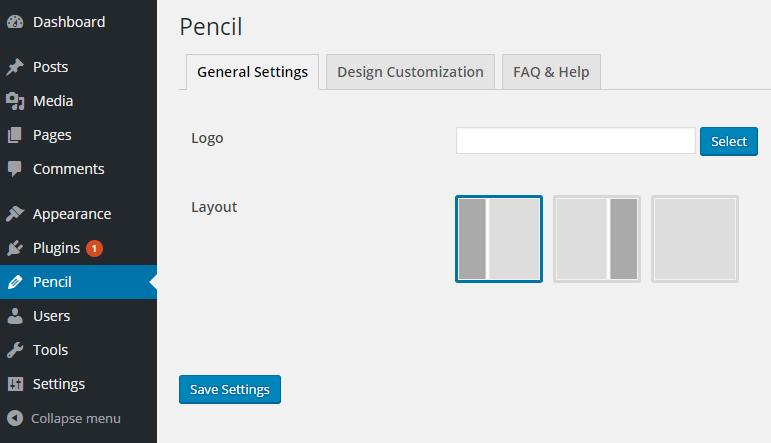 The settings page uses 2 columns layout, which mimic WordPress post screen and the value for context has the same meaning. This action fires after the submit button is rendered, which allows you to add more custom buttons next to the submit button. Settings values are saved in WordPress option as an array with the option name is option_name in the settings page configuration. The keys of that array are the field IDs and values are the field values. It’s the recommended way by WordPress that doesn’t make your options table bloat. Other parameters are the same as for posts. Please see this documentation for details. It requires the extension version 1.2+ to use the helper function. If you’re using an older version, please update now.